The recommendations, which in this case are all for Disney films, after my screening of Snow White for the Great Movies – 100 Years of Film book continue with this 1959 classic that interprets the classic tale of Sleeping Beauty and brings it to animated life, with wonderfully stylistic animation, songs, and once again, iconic moments that could only be brought to life by those at Disney. 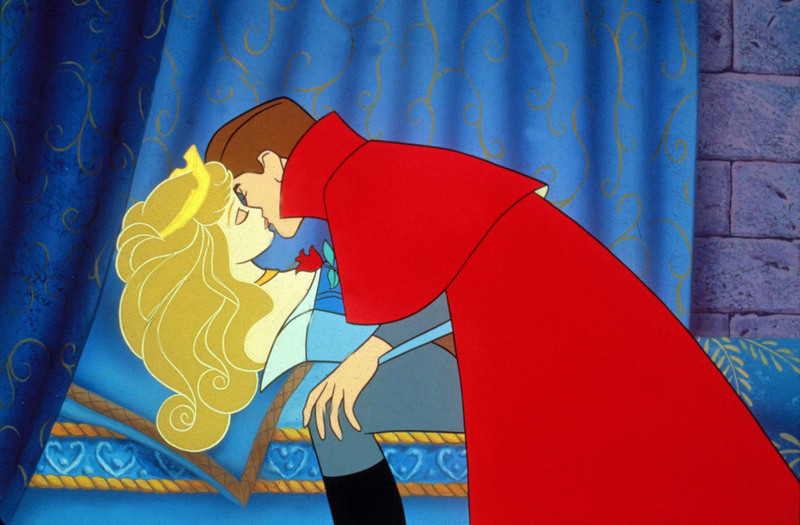 The brightly colored world of Sleeping Beauty comes to life with the opening credits, heralding the tune, and signature piece Once Upon A Dream. We quickly find ourselves at a celebration for the birth of a young princess, Aurora (Mary Costa). There we are introduced to all the players, there is young Prince Phillip (Bill Shirley), her betrothed, as well as their respective parents. Also making an appearance are the three fairies, Merryweather (Barbara Luddy), Flora (Verna Felton), and Fauna (Barbara Jo Allen), all of whom place wonderful spells and gifts on the young girl. 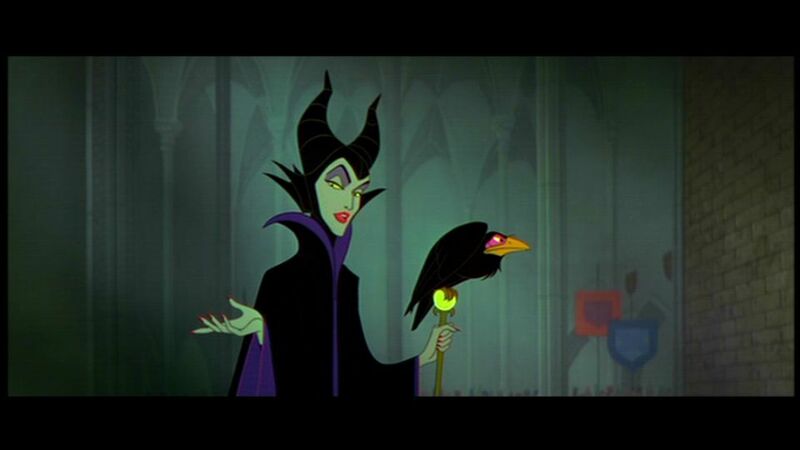 Things take a dark turn, when the wicked Maleficent (Eleanor Audley) arrives, angered by the fact that she was neither invited nor wanted there, and lays a curse on little Aurora that will take place on the eve of her 16th birthday. Disappearing in a spout of green flame, she leaves fear and dread behind her. The fairs take her into hiding, swearing off magic and living as humans for the next 16 years. On the eve of her birthday, Aurora, called Briar Rose by the fairies, things really kick into gear, she meets and falls in love with a charming boy, unknowingly, it’s Phillip, who doesn’t know her either (good thing they fall in love with other, otherwise their arranged marriage may not have worked out so well). And, the fairies make the mistake of using magic, which Maleficent can track. Maleficent brings her curse to fruition, but to stop it until they can figure out what to do, the fairies place everyone in the kingdom to sleep. Happily, Phillip has been spared that, but has been captured by the wicked woman, and her not-particularly frightening army (which is good, as on her own she’s rather frightful, and her soldiers may take the fear away a little for younger viewers). With the help of the fairies, Phillip escapes Maleficent’s castle on Forbidden Mountain and races to the rescue, hoping to deliver true love’s first kiss. But first, he’ll have to confront the wicked woman, and her terrifying alter-ego before anyone can have a happy ending. This one features tons of songs, with some music adapted from Tchaikovsky, combing the original story, classical music telling the same tale, and wonderful animation. It’s all wins. I love the character design as well as the backgrounds, the style uses differentiates it from the other films they’ve done so far (though you can see a hint of similar design in Lady and the Tramp), and you can tell that the animators are truly understanding and experimenting (within the confines of the narrative) their art.